Perfectly located in Manistee's Historic Victorian Homes District, the lovingly restored 19th Century lumber baron mansion welcomes guests with the elegance and attention of a bygone era. 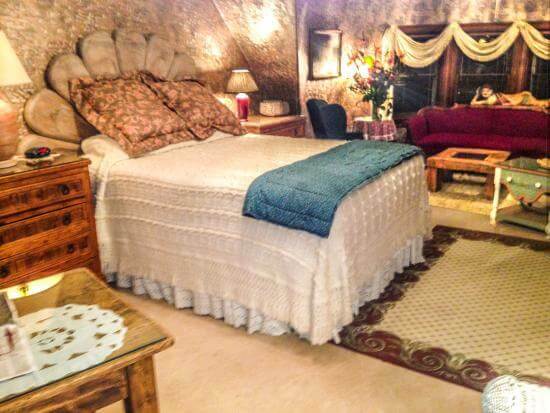 With a five-star TripAdvisor rating, it is the area's number one bed and breakfast. Charming gardens, an impressive interior, and guest rooms individually appointed with comfortable furniture, exquisite period pieces and artwork make the Dempsey Manor the ideal setting for a weekend getaway, a birthday or an anniversary celebration or a midweek retreat. Overnight guests enjoy a delicious gourmet breakfast in the morning, a late-afternoon wine hour, and a complimentary tour of the mansion. Walk to shops, restaurants, theaters, museums, art galleries and historic sites. Beaches, casinos, and year-round outdoor activities are within easy driving distance. 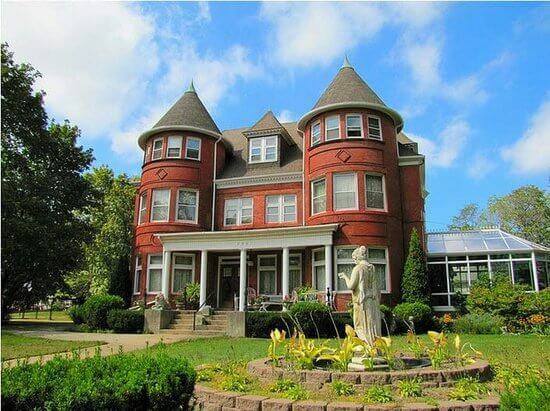 Dempsey Manor also offers tours of the mansion to non-guests by appointment, and it is a great venue for business and club meetings, wine tastings, retreats, small weddings, parties, teas and luncheons. The Dempsey Manor is surrounded by water on three sides. If you’d like to be on water, in water or on a beach, The Manor is your hub. Two of Lake Michigan’s broadest, purest sand beaches are just a handful of minutes away, one a scenic 20-minute walk. Enjoy a sunset from Manistee Lighthouse on the Big Lake. The spectacular Manistee River with its famed Riverwalk is a close three minutes by car or nine minutes by foot, offering restaurants and a string of marinas for charters, excursions and moorings. Make arrangements for kayaking, tubing, canoeing, or fishing. Views of, and access to, Lake Manistee are a short .7-mile walk or drive. Catch sight of an enormous Great Lakes freighter, a football-field in length, docked along our inland lake. The Dempsey Manor, the largest still-standing lumber baron mansion in Manistee, is a storybook destination in itself. Restored to its 19th Century opulence — with the service Victorian aristocracy enjoyed — you’ll taste the luxury of an era not likely to be experienced again. After a full day of exploring the region, you can slip into the pajamas of America’s royalty for a restful night like none other. The Manor houses museum-quality collections of period furniture, fine art, China trade porcelains, Victorian silver, glassware, lighting, ceramics and needlecraft to enjoy and to discuss with your hosts. 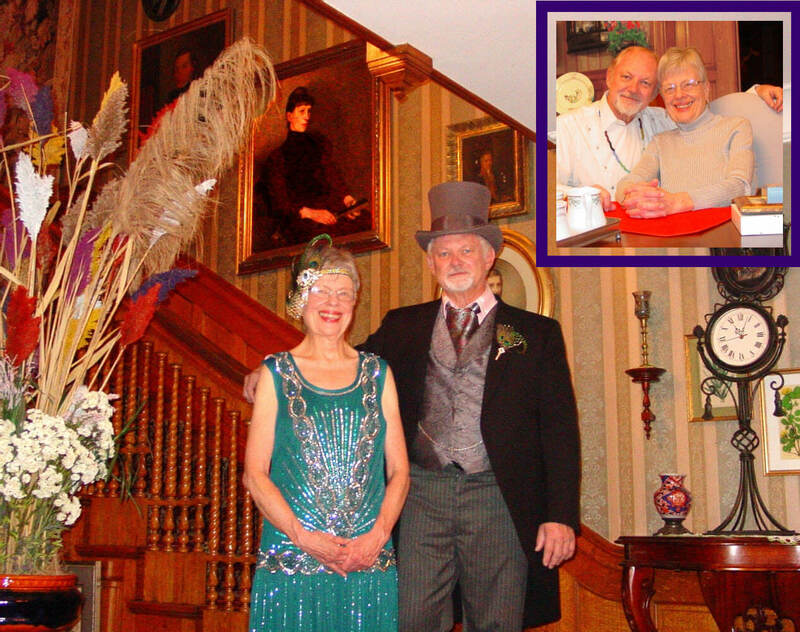 Jim or Jan will give you a tour of this important three-story landmark and reveal its place in Michigan history. They will also provide you with Historic Manistee Tour-Routes, so you can immerse yourself in the romance of Manistee, Michigan’s unique Victorian Port City. Blessed with an abundance of local farm-raised-and-grown provisions and coupled to The Manor’s renown menus, Jan Peterson, composer-of-meals and chief cook, serves breakfasts that cannot be matched by commercial restaurants. Obtain locally farmed and raised produce and meats wherever possible; organic if possible. Herbs? Fresh, of course. Mint and garnishes? Picked from the garden patch. Fruits? Seasonal and fresh. Have an unending vocabulary of dishes. This guarantees our stand-out variety made possible because our kitchen is wide open to the breakfast cuisines of other countries and cultures.There's everything right about American biscuits and sausage gravy, Northern Italian strata (Italian quiche), Turkish fresh fruit-and-yoghurt smoothies, Irish hamsteak in sauteed apple slices, English walnut and maple-syrup scones, cream-cheese and fruit- stuffed baked French Toast, Indian baked sweet gingered grapefruit, well-seasoned German wurst and brats, English bangers, Mexican chorizo with an Australian baked egg and vegetable casserole ...need we go on? You see the delightful picture here. Remember always that guests also seek the flavors, textures, aromas and looks of breakfast recipes they loved in their childhood -- the things that Grandma or Mom used to make for them on Sundays, holidays and birthdays. Respect all guests' food allergies and aversions; as well as their requests. Never skimp portions for economy; always accommodate every appetite. Never ever serve just a three-item one-course meal: and make breakfast compete with dinner for inclusion of all food groups. After all, breakfast is the most important meal. Always serve in successive courses, never all at once, to assure everything is set before the guest when it is meant to be eaten at its proper temperature. Every dish should be as much a feast for the eyes as for the tummy. Reputation is everything: every Guest should experience the best -- and expect the unexpected. and brought to table in Victorian silver service-vessels with serving utensils that complete an incomparable glistening, sparkling table of elegance and style not even imagined in restaurants. Jan decided early-on that every meal should make memories. So to begin with, every meal should be a feast-for-the-eyes as well as for the palate: this begins with many and varied dishes. Then, these dishes are timed and brought to your table in courses, like a fine dining experience (say, at a English countryside Manor House in the 19th Century when staff was skilled and plentiful.). A First Course may typically include several foods: a baked offering fresh from the oven such as English scones, or loaves of fruit breads, or Southern buttermilk biscuits, or maybe fruit- and/or -nut-filled muffins. These will be accompanied by a fruit drink (perhaps a nectar of mango and passion fruit, or fresh pomegranate juice, or a Turkish fruit-and-yogurt smoothie). These colorful morning treats are complements to the star of the First Course: a fresh brewing of artesan or craft coffee. Our selections range from Costa Rican rain forest blends, to dark brews with espresso overtones, to East African roasts and Hawaiian Kona mellow flavors, and more. The Second Course tempts you with a sampling of the fresh fruits of the Season (such as a medley of berries roasted to perfection in their juices), or perhaps an exotic dish of imported tropical fruits (which might be a Cuban delight of platanos maduros, plantains and currants simmered in butter and honey with tropical spices). Sweet and palate-pleasing, the second course is always special and always a favorite. The Third Course provides everything else to get you up and going all day long...and may consist of from two to four hardy types of delicious and complementary dishes. The Third Course is always an eye-catching and mouth-watering combination of recipes spanning several food groups. On special occasions, the Fourth Course is a Dempsey Manor specialty -- an amazing breakfast dessert. Not offered every day, but when included it is the finish with panache. But, sorry folks, we aren't going to spoil the surprise here. You have to come and experience this unexpected treat. Tired of “bored-room” business meetings or retreats? Looking for the best site for your family reunion, baby or bridal shower, club, friends or 12-step getaway? We make such events memorable, excel at high tea, and offer the perfect setting for an intimate wedding or wedding reception? We’ll organize it for you or work with your planner/organizer. Our website is full of information and reviews suggesting that Dempsey Manor your best bet for an unforgettably successful event. Stroll, sit, drive, ride – the awesome wonders of Northwest Michigan are yours to contemplate. We are situated at the doorstep of wildlife- and wildflower-rich Manistee National Forest and at the start of M-22, the USA’s most scenic drive , which takes you along a magical coastline. Other area natural attractions include: one of the Audubon Society’s most picturesque bird sanctuaries; Northern Michigan’s purest, most scenic and accessible sugar-sand beaches; all-season nature trails and walks; summer bicycling routes; winter downhill and cross-country skiing areas. In the Northwest, Dempsey Manor is always the discriminating traveler’s home and hub. Autumn elicits gasps of wonder and amazement from Dempsey Manor guests. No one is prepared for the brilliant hues and awesome spectrum of the area’s autumn colors. Fall books up fast because so many guests can’t get enough and return year after year. Manistee is Gateway to the famous M-22 Highway, voted fall’s most scenic drive in the entire nation. But no matter whether you head into the north, south or east, from the privileged hub of Dempsey Manor, you'll discover miles of forest-covered rolling hills in all directions, transforming themselves into a beautiful canvas of color, texture, and spectacular vistas. Thinking of a day trip? One feature that separates our region from the rest is the diverse set of experiences you can have along the way. Whichever route your trip takes, you will enjoy farm markets and roadside produce stands, nostalgic towns, local family cafes and nostalgic village main streets with local breweries, natural springs of artesian waters, antique and quaint craft and collector shops, and explore national, state, and local parks and wildlife preserves – all while you take in the beautiful scenery. The Manistee area is an all-season venue – and so are we, at The Dempsey Manor. We are open year-round so that guests can experience the finest lodging after a day filled with downhill skiing, cross-country skiing, snow-boarding, snow-shoeing, hiking or day-tripping. With 147 miles of snowmobile trails and nearly 100 miles of groomed cross-country and snowshoeing trails, Manistee County is a first-rate winter destination. Crystal Mountain Ski Resort is only a short 40-minute drive, and beautiful Caberfae Peaks is just 43 minutes from Dempsey Manor. The Big M Winter Park in Manistee National Forest -- for all winter activities, including snowmobiling -- is a quick 26 minutes away. Up for ice-skating? A brand new ice-skating facility is only a half a block away from Dempsey Manor at Sands Park in Manistee. For extensive details, check out the Manistee MUST SEE AND DO in WINTER webpage on our website. The Cultural Hub of Manistee County, the city of Manistee provides a variety of art galleries, museums, guided tours of the floating museum ship S.S. City of Milwaukee, an art park, the Riverwalk with garden installations, Victorian architecture (everywhere) with self-guided walking tours, seasonal guided trolley tours, and docent-led interior tours of the historic Ramsdell Theater, a 1903 vaudeville and opera house, and the French Neo-Renaissance James Dempsey Mansion, now operating as Dempsey Manor Bed and Breakfast. 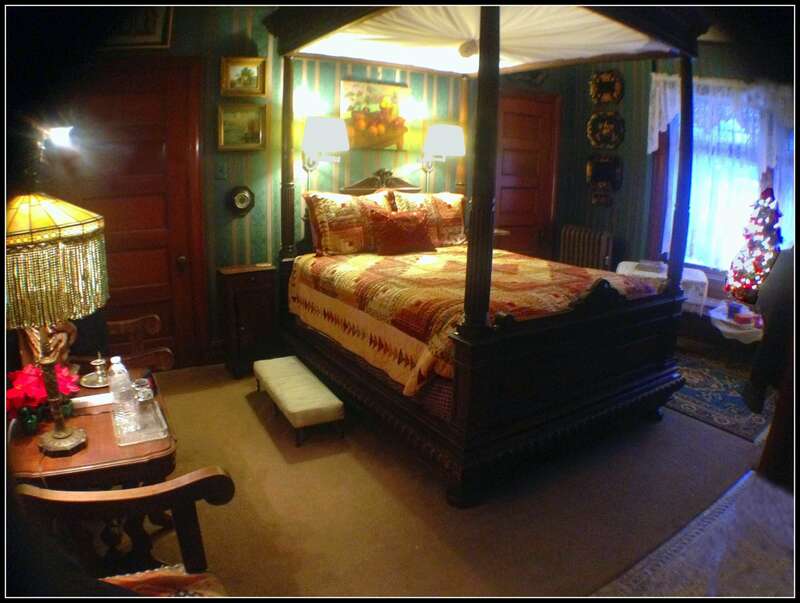 Tours of the James Dempsey Mansion are free to overnight guests. Your host, James Colburn, is an Emmy-nominated visual artist, antiquarian, collector and musician. The mansion is home to his 50 years of collecting and trading. 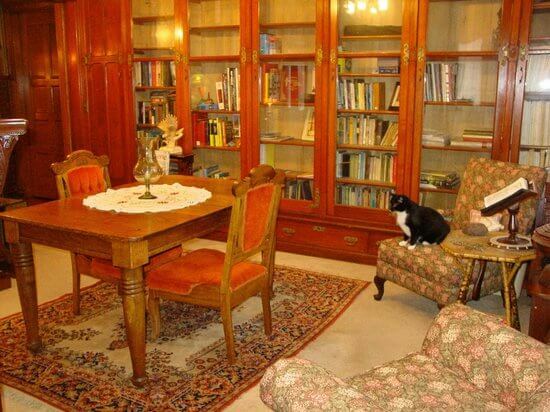 A life-long passion, his museum-quality collections include period furniture, fine art, China trade porcelains, antiquities, Victorian silver, glassware, lighting, ceramics and needlecraft to explore and enjoy.